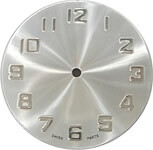 Take a look at the sample dials below. Featuring Printed, Etched and Embossed Dials. Dial characteristics can be changed to your liking (different dial color, different logo size or position, with numbers, without numbers, etc.). 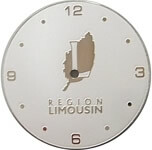 We can work together to create the perfect dial for your unique, high quality logo watch.